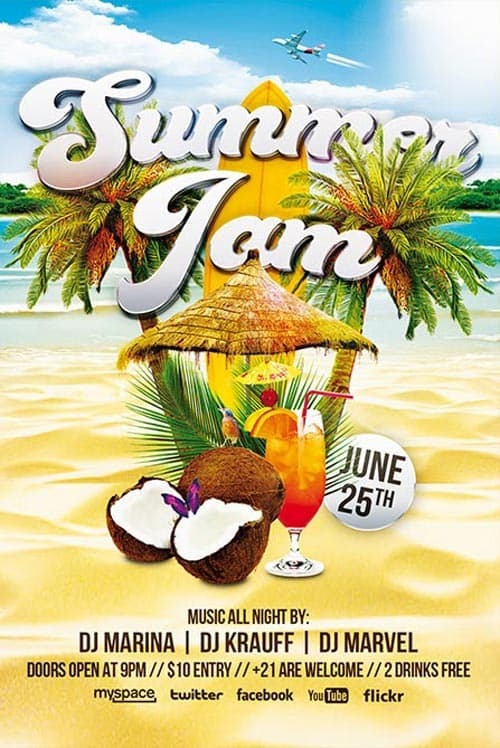 Enjoy downloading the Summer Jam Party Free Flyer Template created by Bestofflyers! The Summer Jam Party Free Flyer Template is set up at 1275 pixels x 1875 pixels (4×6 inch with 0.25 bleeds), CMYK, 300 DPI. The PSD file is well-organized, with color coded groups and layers named appropriately. You can modify each element easily and quickly!